School, Government Agencies & Company Purchase Orders Welcome! 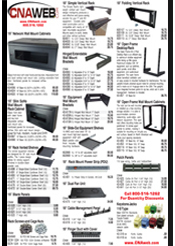 It's easy to shop our online catalog and use a Purchase Order for payment. Simply reference your purchase order number when checking out and follow our Purchase Order Policies. When paying with a Purchase Order, please select "Account Number" in the drop down menu in Step 3, then enter your PO Number. Purchase Order Policies: Any online purchase that uses a Purchase Order for payment must have both the Shipping and Billing addresses listed. A copy of the Purchase Order is REQUIRED for first time purchases. Mail: Computer Network Accessories, Inc.
A copy of the Purchase Order is NOT REQUIRED for existing customers with a purchase of less than $500. Our Customer Service staff may call to confirm your order. Click here if you need a quote!